I eat every single word I wrote in hope of this being a great movie; it's not even a good movie. So far, Warner Brothers' The Lego Movie holds the temporary honor of biggest opening of the year. Regrettably, it is consciously--and I DO MEAN CONSCIOUSLY--spitting in the face of every single hard working American in this country, and it does so in the first 60 seconds of the film, so there is no guessing, no hope holding out, it's wretched and it mocks not only people like myself who have to work for a living, but the heroes of people like myself: those who have made "it," who have made their dream come true, who set new and higher standards in society; in short, the only purpose of this film is to spit on Americans. There's a lot to cover in this film that I am just not in the mood to cover, but let's discuss the primary means of belittling Americans because liberals are quite fond of doing this. Emmet, the main character, is so ordinary that no one knows or cares anything about him. The point of this is, to see ourselves in Emmet's boring life; that's right, the film makers want to make sure that you feel as lonely and unloved as Emmet. Then, they mock you by making fun of television shows and music that people like (suggesting that all the music and TV programs are exactly alike, and you must be really stupid to like the stuff being released by these major companies, like Warner Brothers). So, no matter what Emmet does, he's a loser and so is everyone else. But after they have invested all this time highlighting how dumb and pointless Emmet's existence is, they then suggest that only Emmet has the right to lead a revolution and suddenly, Emmet is a natural leader and has all these great ideas to bring down the horrible Lord Business; why? They want to make workers--"proletariats" in Marxist speak--feel powerless and miserable so all the "Emmets" in the country will want to revolt against "Lord Business" so the socialist party members can then take over. Without doubt, the evil villain of the film is Lord Business, who owns all businesses and who is also the president of the universe and tells everyone what to do. I hate this film so much, I don't even want to waste time writing about it, so I apologize. Without a doubt, we know there are bad business owners but we also know (because so many of us own our own business) that there are very good business owners. What we have with The Lego Movie that is so unnatural--not only in the order of nature itself, but in the heart of Americans--is the celebration of mediocrity. What is soooooo frustrating about this film, is that, like other liberal films we have seen, such as The Purge, RIPD Gangster Squad, and it takes traits and practices attributable to socialism and blames them on capitalism. In The Lego Movie, Lord Business is going to glue everyone into place so everything will be perfect. We know for a historical fact that capitalism is always on the move, it's socialism that "glues" people into place, because you can't choose your job or employer--the government tells you what you will do and everyone works for the government--and socialist governments never allow people to leave because they won't come back (think of the Berlin Wall, the Soviet Union, communist China, people trying to escape Cuba on boats, the secrecy surrounding North Korea, etc.). Why is this important? Because it demonstrates that liberals don't have a clue as to what they believe, or what the historical record is. We who are conservatives know how liberals argue: first, they substitute "thinking" for "feeling," then they lack consistency, and, finally, if they can't intimidate and bully you, then they just start throwing any and all arguments, whether they are topical to the conversation or not; The Lego Movie does the same thing. Whereas Emmet starts out being ordinary and therefore the object of loathing, by the end of the film, anyone who isn't mediocre and average should die. Towards the end, Emmet attempts to dissuade Lord Business from gluing everyone into place (please see note in image above) by telling Lord Buisness that Lord Business is "special" and "important," to which Lord Business replies, "No one ever gave me a trophy just for showing up." 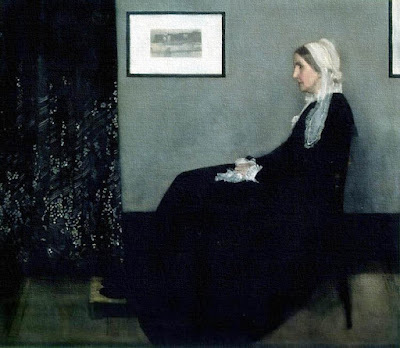 As Americans, the idea of "everyone getting a trophy," is unacceptable to most of us because it undermines the virtues of competition (which films such as The Hunger Games also attempt to do): it's okay that everyone doesn't get a trophy in baseball, because they have something else they are good at; it's okay that you didn't take first place in the debate tournament, there is something else you are good at. 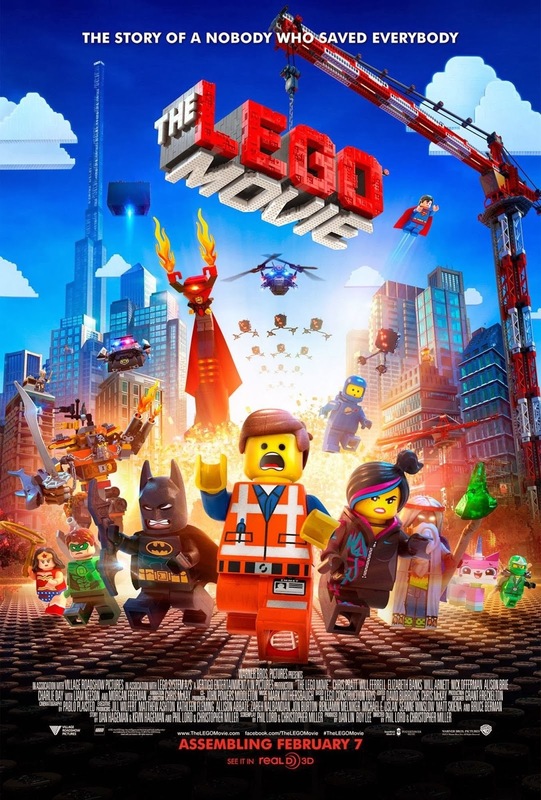 Films such as Monsters University, Moneyball, The Avengers, Oz the Great and Powerful, Oblivion, etc., etc., etc., validate that we are all good at something, but The Lego Movie finds it more expedient to leave that out (I am in a seriously foul mood). Batman stands for something: he's the symbol of what all of us--regardless of wealth but especially for the wealthy--should become and ceaselessly strive to be like. Why? Because he overcomes his greatest fears and he executes justice and never revenge. He not only fulfills the American Dream himself, but tries to help others achieve it as well. When the "girl" Wild Style is no longer his girlfriend, and Batman tells her that Emmet is the hero she deserves, it's a transference from the talented and exceptional of the country being the standard for us all, to the mediocre becoming the standard, and the death of the very bravest, brightest and strongest in our society laying down dead. According to the film, the "Master Builders" are basically anyone who is exceptional in any field at all: it's not just the 1% of the wealthy in the world that Lord Business symbolizes, but Shakespeare, Lincoln, Michelangelo, any and every super hero action figure, etc., that the film seeks to undermine; how do we know this? The opposite of Lord Business is Lord Vitruvius. Where have we seen a reference to Vitruvius recently? Gravity. In the George Clooney/Sandra Bullock film, there is an image of Da Vinci's drawing of the Vitruvian Man in one of the space stations (for the reasons, which are numerous, please see Gravity: Buddha & Da Vinci for more). Vitruvian Man is adopted as a kind of "logo" for atheists who focus on the "end-all-be-all" of the human body (body absent the soul), so for The Lego Movie to adopt the name of their "god figure" (played by Morgan Freeman) after Da Vinci's drawing and quoting it from Gravity, demonstrates that they don't believe in "god," (especially since the "man upstairs" is also Lord Business--Will Ferrel-- and he's obviously evil, so therefore, "god is evil" because "god" is synonymous with capitalism). "The story of a nobody who saved everybody," is the synopsis liberals would like to have for a socialist revolution. 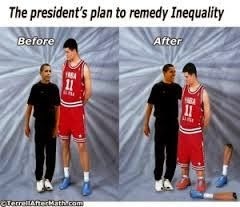 Never doubt, the only reason why a liberal wants to overthrow the "1%" is so they can become the 1% themselves, just like Obama criticizing the rich all day long while he throws lavish parties and vacations all the time. Moving along as quickly as I possibly can, there is someone that Emmet is mocking, very directly: the Minions of Despicable Me (please see below). Both being yellow (Emmet's "yellow face" and not having any unique features, like each of the Minions) is part of the prophecy he supposedly fulfills, and, like the Minions in their overalls, Emmet is a construction worker who wears his work clothes for the most of the whole film. Why make this comparison? 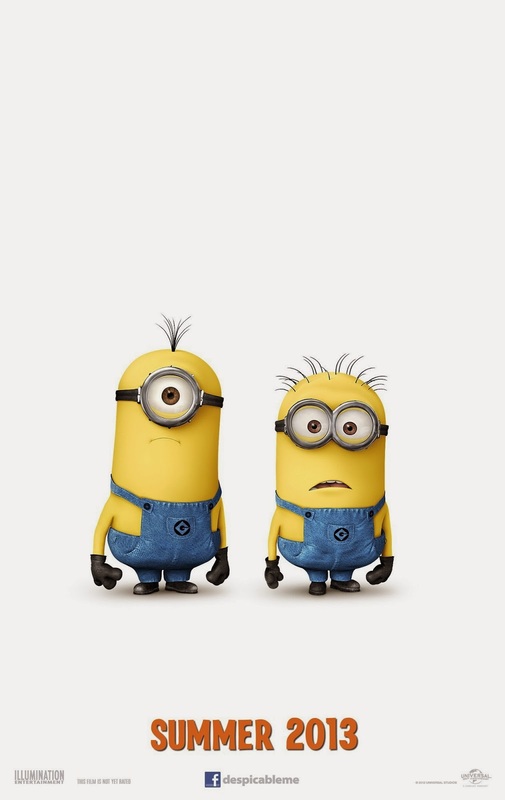 The Minions--who have their own movie coming out this summer--are loveable, in their sameness, their quirkiness, their inarticulate speech, we the viewers approach the Minions with love because we can see ourselves in them: what's wrong with taking a vacation on the beach? What's wrong with doing your job well? What's wrong with being loyal? These are the traits Minions exhibit, and we exhibit them, too. Well, it's wrong if the socialists say it's wrong, and Emmet is meant as a direct attack on the loveable qualities of the Minions. 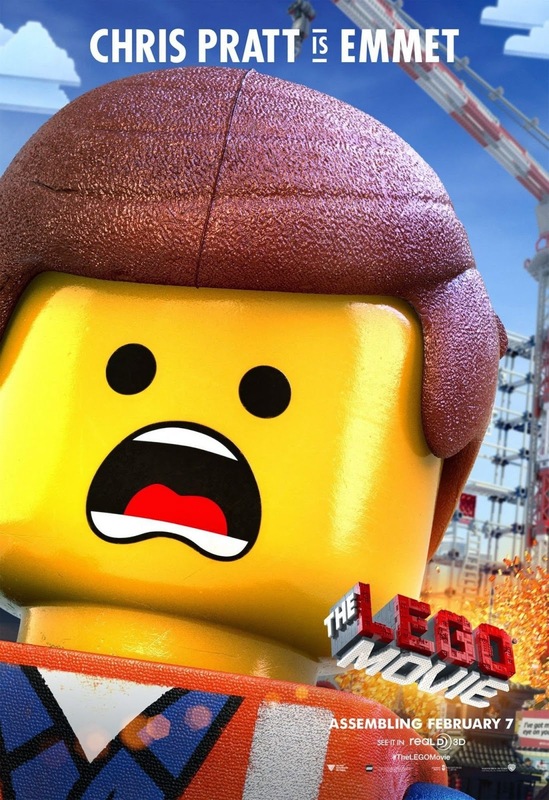 There is someone else attacked by The Lego Movie: Master Builders. Who are the "Master Builders" in America? Two recent films have celebrated them: Iron Man 3 (think of Tony Stark [Robert Downey Jr] having a panic attack in the car and little Harley telling him, "You're a builder, so build something," and Tony does--not to mention all the various models of Iron Man soldiers he builds) and Oz the Great and Powerful, because Oscar needs the help of the Tinkerers and Builders of Oz to overthrow the wicked witches. The Lego Movie mocks the Master Builders because they all want to implement their own vision so they can't work together effectively as a team. Not only does this demonize individuality (it's better working as a faceless name in a crowd) but it demonizes exceptionalism and those who strive to achieve excellence in their fields (we also see this in the 2012 film The Apparition that demonized Thomas Edison for inventing electricity; please see Entities Of Power: The Apparition & Thomas Edison for more). Tony Stark and Bruce Wayne (Batman, played by Christian Bale) are two of the ultimate "Master Builders" in America who also stand as symbols of justice, not only on the national level--bringing bad guys to justice for their crimes--but also on the intimately personal level of their own lives and the problems/demons they have to overcome. Another example of a "minion" who could be celebrated is Gary the satellite worker from Iron Man 3; why? Gary's idolizing of Tony Stark--wearing his own hair like Tony's and getting a tattoo of Tony's face on his arm--is laughable, that's not really "normal behavior," and we the audience know it (it's the kind of behavior mocked in The Lego Movie). In the past, Stark would have eaten Gary alive by raking him over the coals for that kind of behavior, but in this third installment, Stark is almost angelic in his acceptance of people and himself (remember how he behaves when Happy is in the hospital?) and the film wants us to compare Stark's before and after by opening the film with Stark in the 1990s and contrasting him with the man he has become today. In other words, Tony Stark isn't a "Master Builder" just because he can make cool stuff, he's a Master Builder of who Tony Stark is, too, because "building" ourselves is the most important task each and every one of us has; this exact thesis is echoed in Oz the Great and Powerful when Oscar (James Franco) because we see what a cad Oscar is, and how he must be converted himself before he can become the "great man" he dreams of being. When, however, one denies that we humans are anything but bodies, that we are mere animals and have no souls, then we are condemned to forever being nothing more than Emmets; the Tony Starks and Oscars and Bruce Waynes, however, validate that we are something more, and each of us has a destiny to fulfill. To conclude, I eat every word of hopeful praise I lavished upon The Lego Movie: it's typical socialist propaganda, but it's even worse. It intentionally seeks out the average American to mock and thereby bully them into resenting their life, then trying to "empower them" to think that someone else is their "real problem." Just like members of the White House and Congress perverting common sense, The Lego Movie perpetuates base idiocy by proposing absurd views of people's problems but even more absurd "remedies." Ultimately, The Lego Movie is a chapter out of Saul Alinsky's book Rules For Radicals, which commands liberals to attack people rather than institutions, because people feel pain faster than institutions, so by attacking me and you, as well as those we hold dear, the film makers hope to bully us into seeing their upside-down version of reality that resembles reality as well as Legos themselves.